In our community outlook series we’ll be showcasing current and upcoming decentralized apps on Skycoin’s Fiber platform. Decentralized apps on other blockchain networks are slow and expensive to use. 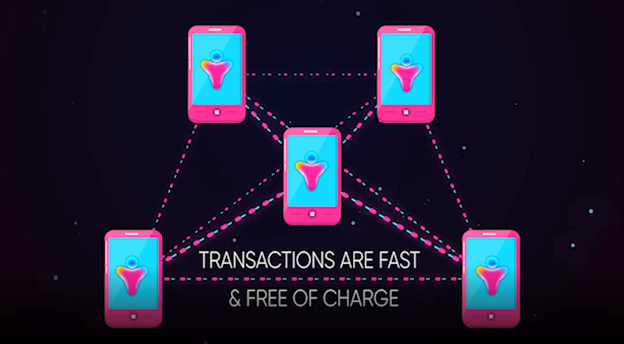 Fiber allows free, instantaneous, and infinitely scalable transactions, making Skycoin the platform of choice for future DAPPS. Today we’re featuring My Daily Life(MDL), which aims to better serve the $260 billion talent sourcing segment of the entertainment industry. Imagine that you have a store opening, company party, or ceremony coming up. You need to hire models, a speaker, or maybe even a guy in a clown suit. What platform would you trust to have a reliable booking system, honest reviews, and an accurate work history for each talent? MDL aims to be the LinkedIn + Uber of the the talent sourcing industry, complete with user profiles, a reliable booking system, and honest reviews. It’s poised to serve 100,000 gigs per day facilitated by the MDL token. Talents like fashion models, musicians, and actors rely on talent agents to represent them. These talent agents handle the busy work of negotiating contracts, booking interviews, scheduling work, ensuring their safety, and more. This arrangement allows the talents to focus on practicing their craft and honing their skills. The talent sourcing industry tends to be highly fragmented because each job has different time and performance requirements, making work inconsistent and unpredictable. A gig can last a day, a week, or a month and scheduling conflicts occur often. It’s by nature a very decentralized market segment because gigs are handled on a case by case basis and most talents end up being freelancers. MDL predicts that in the future more people will take up these freelance gigs, and their platform is catered towards aspiring artists and existing celebrities alike. Novice talents will have an easier time getting started, and experienced talents will be able to streamline their business. Unlike photographers, designers and other freelancers who have their deliverables as leverage, the type of talents that MDL hosts have risks unique to the nature of their work. As a talent, working for anyone you haven’t already worked before can be a risky proposition. Talents are subject to mistreatment, fraud, late payments, or no payments. When it comes to models, for example, a client can post a certain job requirement that seems benign and straightforward, and then request something completely different or uncomfortable to the model on the day of the shooting. Since they’re paid for their time and presence scheduled in advance, they have little recourse to complain. They have to comply or walk away with nothing, losing both the cost of the current gig and opportunity cost of any other gig they could have booked that day. As an agent or client, you want to make sure that the talent you hire is punctual, presentable, and vetted. The success of a promotional event, TV shooting, or fashion show depends on your talents doing their best. An instance of having a model not show up or have a bad attitude and performance can sink your reputation. MDL acts as a sort of LinkedIn with extensive and immutable work history, portfolios, videos and reviews. This assures that clients that they’re dealing with someone professional and reliable. MDL allows talents the ability to set up user profiles with their work history, upload photos and videos, and connect with other talents. A multi-talented freelancer can have multiple separate portfolios, such as one for singing, one for dancing, etc. Agents and clients don’t always have time to vet a complete user profile, so MDL has a built in comp cards. A prospective client will have access to a booking calendar and will be able to book time slots directly based on availability. At this stage the talent will be notified that someone wants to book them and will be able to browse the client’s profile and reviews as well. The team at MDL believes that it’s not necessary to be a blockchain enthusiast or IT professional to benefit from blockchain technology. MDL uses blockchain under the surface, but it’s not blasting blockchain buzzwords in your face. It operates like any other social networking and service booking app, with Skcoin’s technology under the hood allowing seamless transactions and large-scale data storage. Users wont even know they’re using a blockchain app. CX is Skycoin’s programming language and CXO is the CX Object System. It allows for data immutability with the scalability of a content distribution network(CDN). The current legacy blockchains like Ethereum cannot provide the real-time data storage needs necessary to host all the files associated with a global social media platform. CXO finally makes blockchain technology competitive with traditional solutions like Amazon AWS or Cloudflare. Projects running on Skycoin Fiber can all run their own independent, infinitely scalable and fully customizable blockchains. MDL makes use of this by providing a complete marketplace for booking talents, renting out equipment, trading and selling, and having a reputation system. MDL users can send each other money with MDL tokens or Skycoin. Transaction are free and instant. MDL has an existing network of major industry players in Asia. It has partnerships in Russia, Shanghai, Seoul, Guangzhou, and Hangzhou. Following the finalization of its software it will focus on incentives for user adoption with localization and expansion into China, Korea, Dubai, and Nigeria. MDL brings the sharing economy and O2O dynamics to an often overlooked industry. Just like Uber transformed ride sharing, they’re creating a safe, secure marketplace that protects talents and makes it easy for anyone to enjoy their services. Their unique solution is made possible by a blockchain that’s fast, scalable, and secure enough to handle an entire social network in real time. If you’re considering Skycoin, Skysuite, and Fiber for your startup or project visit https://www.skycoin.net/fiber/ to learn how Skycoin can serve your entire technology stack. Skycoin is the foundation for a new decentralized internet and the most advanced blockchain application platform in the world.